Josh Sheehan has also spent two loan spells at Yeovil Town. 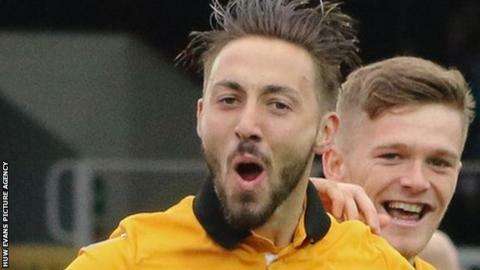 Newport County's on-loan midfielder Josh Sheehan has returned to parent club Swansea City after he was ruled out for the rest of the season. Sheehan has been struggling with an ankle injury and has returned to Swansea for medical treatment. The 21-year-old initially joined Newport on loan in August with his stay extended until the end of the season in January. He scored seven goals in 25 games for the League Two side. The Wales Under-21 international has made one first team appearances for Swansea in a League Cup tie in 2014. Newport said in a statement: "The club would like to thank Josh for his contribution so far this season and wish him a speedy recovery. "We would like to thank Swansea City for the loan of their young talented player, as we continue to work in partnership with the Premier League club."